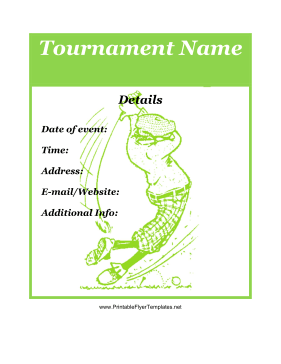 Whether you are organizing a school golf tournament or a professional showdown, this flyer will get the word out to spectators and participants alike. It features a green color scheme and an image of a golfer. You should include information about the event itself, as well as how long the event will last.